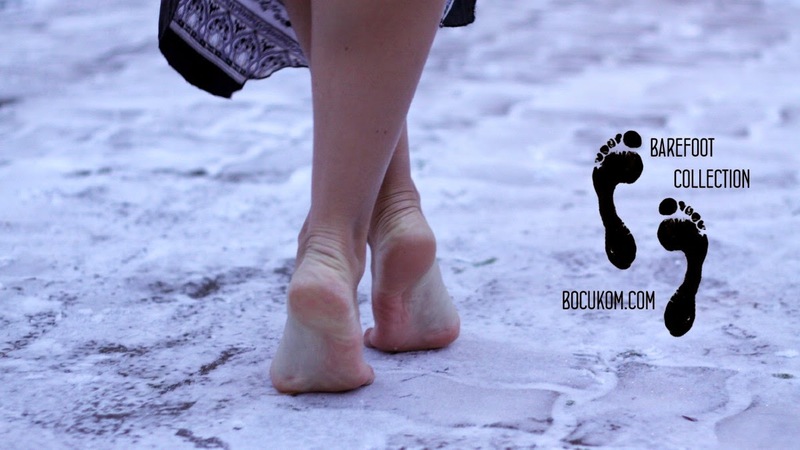 Olga walks barefoot on the cold ice and snow. Her feet are happy! The cold helps to improve mood!